Surya, who took a small break from his busy acting schedule as he had to supervise the arrangements for his younger brother Karthi's marriage and reception, is all set to start his next venture soon. If sources are to be believed, the actor, along with his favourite director K V Anand, will begin shooting for 'Maatraan' from July 25.The film produced by AGS Entertainment will hit the floors on that day in Chennai, sources say. With Kajal Agarwal paired opposite Surya, 'Maatran' is touted to be an action entertainer with a difference. As usual, the script for this K V Anand movie too has been penned by popular writers Subha. "Surya is gearing up to fit himself to Maatraan. Before he starts working for every film, he will do enough homework. He is currently busy at it for Maatraan," add sources. 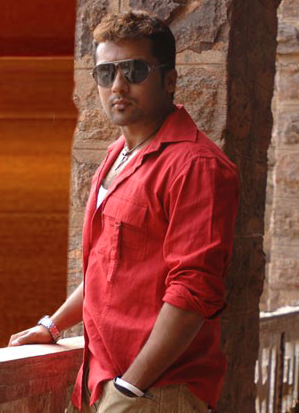 In the meantime, the audio of the actor's other film '7am Arivu' is expected to be launched soon. 7am Arivu by August end? Why Surya never agrees to it?